Vertical Ditchers - Page 1 | COSMECO S.r.l. Cosmeco produces a wide range of vertical ditchers, a noteworthy alternative for the creation and maintenance of small crevices for water control and management. The vertical ditchers dig a slit in the ground and thanks to their peculiar curved knives, they collect and expel the debris, by excavating compact and clean canals. 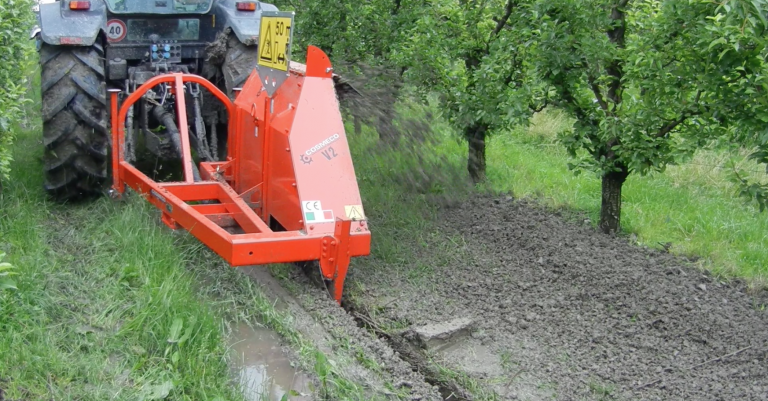 The vertical ditchers are perfect for draining water or to place underground pipes. Their low weight and small dimensions make them suitable for any type of cultivation from narrow rows, to greenhouses, or even open fields. Learn more about all the different models.